Brentford vs Stoke City predictions ahead of this Championship clash on Saturday. Will a change in manager alter Stoke’s fortunes? Read on for our match preview and free betting tips. Stoke City sacked Gary Rowett this week, following a FA Cup slip up against Shrewsbury Town. The club brought in the highly rated Championship boss to guide them back to the top flight, but they come into this clash in 14th place in the second tier. They head to a struggling Brentford side, which could be an opportunity for the club to get back on the right track. Will this visit to Griffin Park bring three points for the Potters, or are they set to struggle against an improving Bees side? The hosts are four games unbeaten in the Championship, while it’s five games if you include their win over Oxford United at the weekend. They edged through to the Fourth Round of the FA Cup with a 1-0 win over Oxford United, which is some respite from their tough season so far. It’s been a difficult few months for Bees’ fans, who have seen their club slip from promotion contenders to become an outsider for the drop. They’ve fallen to 18th place in the league, so they need to keep picking up points. Stoke’s mini-recovery came to an end with a few poor results, now they’re without a win in four. They don’t seem to have a chance of slipping into the top six this season. The next few months are about rebuilding a side which isn’t equipped for the Championship. They consistently come up short at this level, with a pretty dire away record overall. They’ve won just twice on their travels this season, averaging 1.08 points per away game. They make this trip aiming for a result, but recent results don’t suggest that the Potters will get anything here. Brentford have seemingly turned a corner, beating Bolton at home before drawing 1-1 with Norwich in their last game at Griffin Park. They’re improving defensively, a key concern for a side who have more than enough attacking talent to stay up. They’ve conceded just twice in their last four, and a misfiring Stoke side could be the perfect opposition for Brentford. The visitors haven’t scored in their last three league games, while they are coming off the back of a 0-0 draw at struggling Bolton. While their managerial change is likely to boost Stoke in the long-run, we don’t see them bouncing back to form here. We expect a close encounter, with just 38% of Brentford’s matches seeing over 2.5 goals. The majority of Stoke’s games have been low scoring, with less than three scored in each of their last five. We’re backing under 2.5 goals here as a result, as two struggling sides search for a solid result. Stoke have lost one of their last nine matches against Brentford in all competitions (W6 D2). 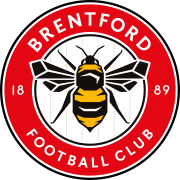 Brentford, who have not lost in any of their last four league games (W1 D3), are looking to remain five unbeaten in the Championship for the first time this season. Stoke have failed to score in their last three league games (D1 L2), last going four league matches outside the top-flight without netting a single goal back in February 2006 under manager Johan Boskamp whilst in the Championship (five). 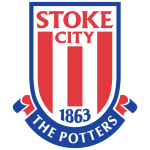 Stoke City have not won a league match away in London since a 2-1 victory over Tottenham back in November 2014, with the Potters drawing seven and losing 12 of their last 19 such visits. No player has made more substitute appearances in the Championship this season than Stoke City’s Peter Crouch (19 – alongside Matt Smith).